These towels may be small, but they are absorbent enough for everyday use. Cascade Pro Select Paper Towels are the economical choice for places across the education, industrial, food service and retail markets. 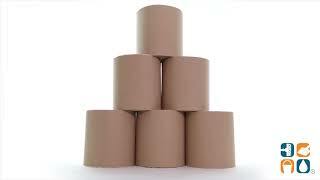 Each carton includes 6 - 800 foot rolls so you'll never be left without a refill. Order yours today and save! We will use this product around my parent's farm. This product is to be used for general clean up from car repairs, equipment repairs, and general clean up.